The FreeWave's Smart Code feature allows you to operate on 16,000,000 possible radio channels. No DIP switches need to be set, and one transmitter can trigger multiple receivers. The units have been synchronized at the factory, so your system can work right out of the box. However, to maximize signal quality and range, it is best to use the Smart Code technology to sense the ""quiet"" frequencies in your environment and re-synchronize on that channel. The FreeWave can fire the camera's shutter from distances up to 320 feet (100 meters). Trigger your camera wirelessly or wired. Wired triggering even works if the receiver battery is dead or missing. Press the transmitter's button half way to focus; press it fully to trigger the shutter. The two-second delay function gives you extra time to get into position. With the FreeWave you can control the length of the exposure remotely. 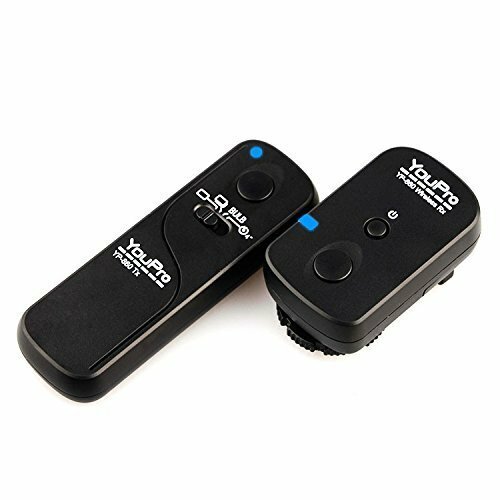 If you have any questions about this product by YouPro, contact us by completing and submitting the form below. If you are looking for a specif part number, please include it with your message. Micnova LC03S Lightning & Motion Sensor Trigger For Sony DSLR cameras "perfect for photographing wildlife or for security purposes "